It’s hard to imagine a conversation about Sicilian wine without mention of Nero d’Avola. This sort of grape remains crucial for the famous island. It makes powerful full-bodied wines with flavors dominated by hints of berries, fruit and spices. They say that Nero d’Avola wine is enough to seduce any woman without a single word. Butcher steak houses offer you to discover wonderful wines from the Rallo family. Donnafugata is one of the oldest Sicilian wineries. They skillfully create wine by joining 150-year-old family traditions with innovations, including their own. While striving to preserve bright and unique aromatics of grapes the Rallos thought of gathering the harvest at night when the temperature allows to transport it with minimal losses. SHERAZADE – full-bodied and noble wine. The flavor unfoldshints of fruit and berries. 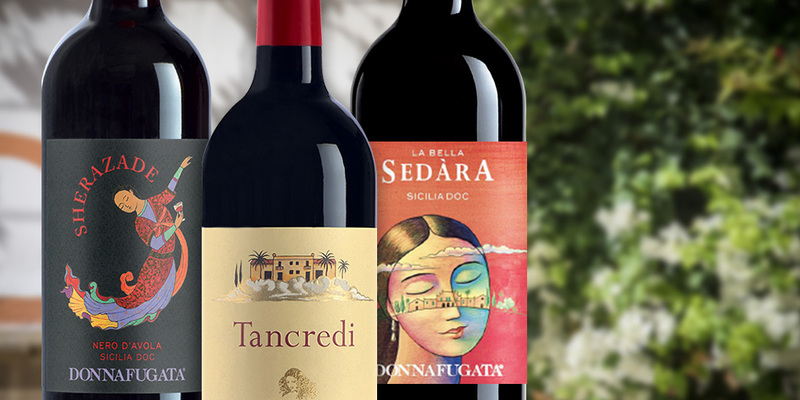 TANCREDI – this wine is distinguished by a delicate taste with a bright and long aftertaste. SEDARA – a bold and elegant wine with a fruity taste and hints of cherry and blackberry.